Keeping track of our spending habits is a daunting task, and we have the tendency to underestimate our spending by forgetting about small expenditures like the occasional $5 coffee and bagel that end up to important amounts in one month. A pen and paper budget is out of the question since most of us would not have the patience to record everything, but some apps can help. Some of these even have AI built into them, thus turning your smartphone into a smart financial adviser. The best thing about using a budgeting app is that it builds structure and discipline into your spending and makes you question each expense so that you don’t end up with debt or even bad credit, learn the facts here. Here is a selection of the most popular apps with some pros and cons. This could be considered the flagship of the budgeting apps. It has all the bells and whistles of multiple categories, graphs, and even access to credit scores. Its primary advantage is that it puts money and bills in one place by connecting all your accounts and giving you the possibility of adding the due payments directly in-app. It is a real help in helping you remember deadlines and never be late with an installment again, thus increasing your credit score. The security features are also worth noticing since the app can trigger an alert whenever any unusual activity is recorded in the accounts and all data sent is encrypted according to the latest standards in the industry. Available free for Android, iOS and Kindle users. This app is more like your financial mom, forcing you to manually classify at the end of the day each expense into the categories you have designed yourself. As a comparison, Mint does this automatically. As you can expect, the approach YNAB takes is more meticulous and more laborious to follow at first, but since you are obliged to think about what happened to each dollar, you will have a revelation about your spending habits and most likely will become more responsible. Recommended to people who are deeply in debt and trying to redefine their relationship with money. It costs $50/year or $5/month. 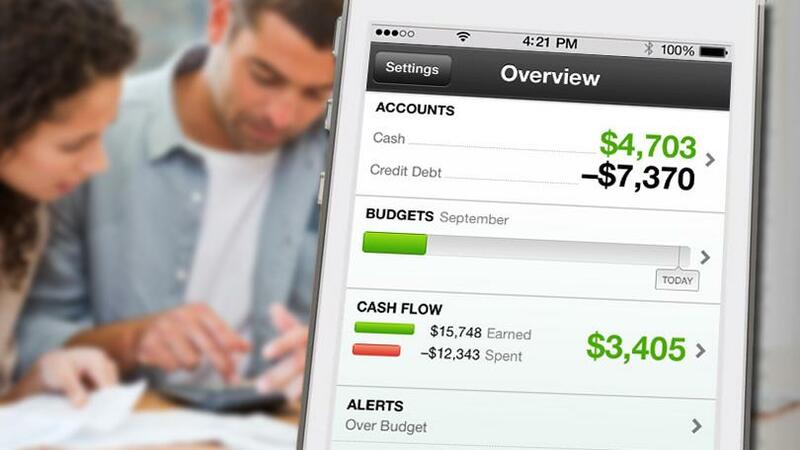 This iOS app helps you manage money by linking to your accounts, setting up your bills and frequency. The great thing about is that it tells you how much you can spend each day safely and is motivating through their graphs that show your progress in the last three months. It is not as accurate as the previous two in tracking different categories of expenses, such as credit card payments and savings, which are considered together. The envelope method is one of the best to help you stay within the set spending limits. The idea behind this is that you set a fixed amount for every category and then you try to fit your expenses in that amount, like spending money from a paper envelope, much like your grandma. You can link your accounts, set thresholds, create your budget and capture receipts that are automatically categorized. On the downside, there is no tracking of investment accounts. Available on Android and iOS for free and with a $59 upgrade option if you need an advisor included. The team behind Wally embarked on the mission to offer clients a free 360 degrees tool to manage their money privately and safely. The ideal client is someone who is not sure where is all the money going and needs an overview in the form of a pie-chart. It’s free for iOS, and an Android version has just been launched. As a con, it doesn’t link to your financial accounts and is less user-friendly compared to the other items on this list.